New Delhi: Navratri, which is one of the most important Hindu festivals, has knocked our doors once again. 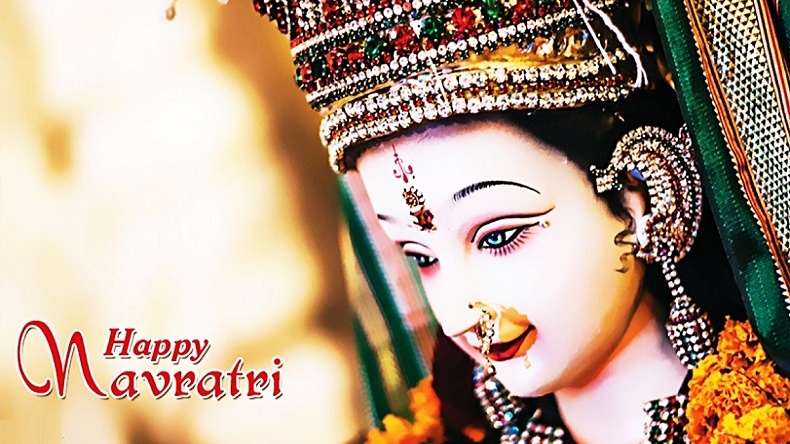 Navaratri is a festival dedicated to the worship of the Hindu deity Durga and is celebrated twice a year. During these nine nights and ten days, nine forms of Devi are worshipped by the people all around. During Navratri, while some take part in the festivities for religious reasons, there are others who use this festival to give their body a much required detox and lose weight. Even though the festivities mean dancing on music and feasting on delicious cuisines, some use these fasting days to lose weight. Like the latter, if you plan to fast this Navratri, ensure that it is done the healthy way. In order to give a new look to yourself this festival season; try out these food eating tips given out by experts for your healthy and fit look. Follow these simple steps to don a healthy body this festival season. a) Kill the sweet tooth within by eating a lot of fruits, curd, dates, apple kheer, samak rice kheer. b) Make amaranth porridge with milk or cook it as namkeen dalia with lots of vegetables, it’s richness in protein increases the metabolism of the body. c) Opt for makhana and mix of roasted nuts for a snacking habit. d) Substitute sugar with jaggery or honey. e) In order to maintain the blood glucose levels and prevent one from feeling low, Eat small meals in small periods and do not starve yourself, as starving never gives out the desired results. f) Drink lots of water and fluids like coconut water, lemon water, green tea and buttermilk. g) Prefer a high carbohydrate diet like potatoes and sabudana with fibre rich vegetables like spinach, cabbage, tomatoes, capsicum, bottle guard, etc. h) Kuttu which replaces Wheat (Atta) in the Navratris is a brilliant combination of carbohydrates and proteins. i) The intake of Samak rice can be done in any kind of quantity ans they are easily digestible. j) Adopt skimmed milk in diet instead of full cream milk.